ABOUT 200 white corellas will be culled around Stirling during late spring and early summer. Since a few pets were released a little more than a decade ago, the invasive species have been breeding rapidly and are now a major pest around Perth. They have no predators (other than contractors) and have abundant food in the metropolitan area. But they don’t confine their munching to seeds, chewing through communications cables, eating reticulation, and damaging radio antennas. Edgewater resident L Purcer queried Stirling council at public question time over when and where the culls would happen, but the city won’t be giving up that info: “For ethical and safety reasons, no public notification is intended apart from redirection of pedestrian traffic whilst the culling is underway,” the city’s response says. • A rare image of an eastern long-billed corella not destroying something. Photo by JJ Harrison under Creative Commons license. The council confirmed the corellas would be enticed into specific areas with seed hoppers, then captured with nets and euthanised in line with the parks and wildlife department’s animal ethics committee. The department’s guidelines say shooting the birds is humane and efficient. Last month Stirling councillors halted the corella cull at the urging of Cr David Michael, who wanted the Barnett government to take the lead role. That earned a rebuke from WA environment minister Albert Jacobs, and two weeks later a rare revoking motion reinstated the cull. Crs Michael, Stephanie Proude and Elizabeth Re opposed the reinstatement. Cr Michael wanted the council to explore nonlethal pest control like netting, lasers and strobe lighting. He says killing 200 would be “a drop in the ocean”. The cull costs about $3,300. 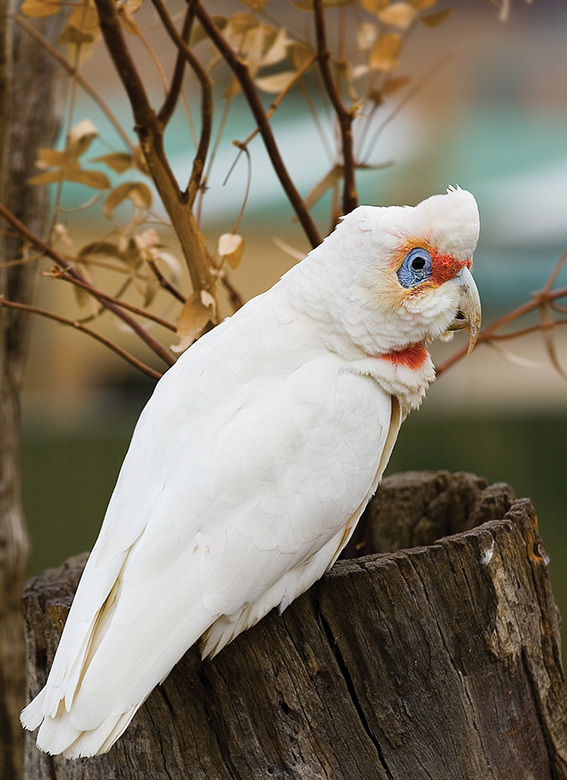 Species targeted include the long-billed corella, the little corella, the galah and sulphur-crested cockatoo. Muir’s corella is the local species, but it was wiped out on the Swan Coastal Plain by colonial farmers, who clearly knew a thing or two about effective culling. Here we go again . . . let’s kill the naughty corellas for making such a mess and the great white sharks who are just looking for food . . . any animal that interferes with our way of life. All the bad things done by humans to one another every day in Australia such as the mother and two children murdered recently in Adelaide seem to come and go on a regular basis with hardly any public outcry at all. We are so much superior aren’t we?